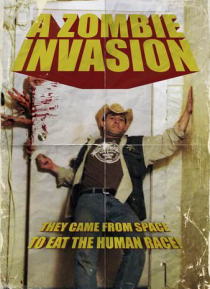 A seemingly quiet morning in rural small town America unravels when Sheriff Long and his military buddy, Chuck, find themselves in the midst of a full on Zombie Invasion. With the assistance of family and friends, the Sheriff has to figure a way to fight off the onslaught and escape the surrounded diner the survivors are trapped in. A 'Safe Zone' the military has set up a few towns away may be the… ir only hope....but when the truth of the Zombies origin becomes clear, escape may be impossible.